Moon is the biggest object traveling through space around Earth, but it's not the only one actually. There are several rocky objects floating in our inner solar system that sometimes passes by Earth. Duncan Forgan, a researcher at the University of St. Andrews, lately wrote about one such object called 3753 Cruithne on The Conversation, where he's calling it a "second moon." Image shown below is the best picture we have of this little, rocky "moon" that's only about 3 miles across. 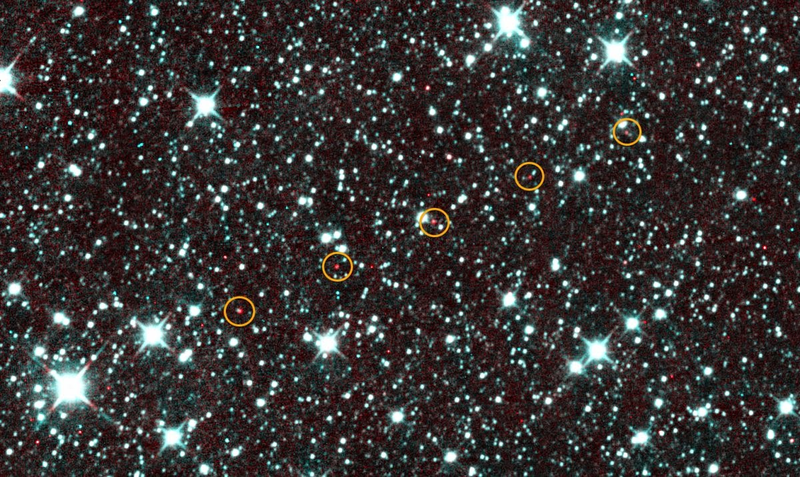 Because of its tiny size, astronomers need powerful telescopes to see Cruithne. The telescope at Powell Observatory captured the image below, where it only shows up as a small speck of light. 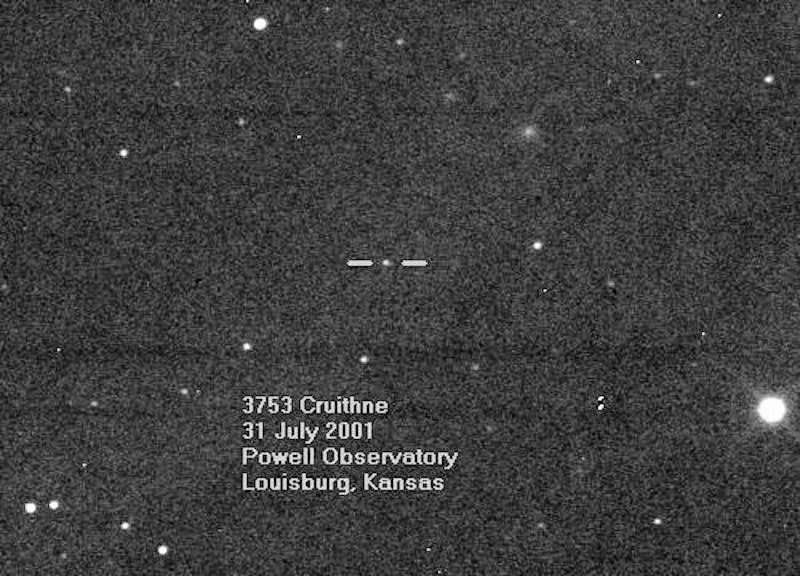 The space-based instrument NEOWISE captured five pictures of Cruithne that are assembled into a single image below. NEOWISE searches the sky for near-earth things like asteroid and comets. “The reason the object seems red in this image(below) is because it is radiating light at lower energies than the white stars in the background,” explains James Bauer, a researcher who studies comets at NASA's Jet Propulsion Laboratory. Cruithne is a kind of object called an Aten asteroid, which is a category of asteroids that live inside the inner solar system between Earth and the sun. It has a strange path through space where it circles both the sun and the Earth in a bizarre kidney-shaped path. Aten asteroids are comparatively small, which is also the reason why astronomers only recently found them. The first Aten asteroid was discovered in 1976 and Cruithne was not discovered till 1986. Cruithne’s orbit is also called a horseshoe orbit. In order to understand why it’s called a horseshoe orbit, let’s imagine we’re looking down at our solar system, spinning at the same rate as the Earth goes round the sun. From our perspective, the Earth appears stationary. A body on a simple horseshoe orbit around the Earth travels toward it, then goes round and moves away. Once it’s moved so far away it’s approaching Earth from the other side, it turns around and moves away again.